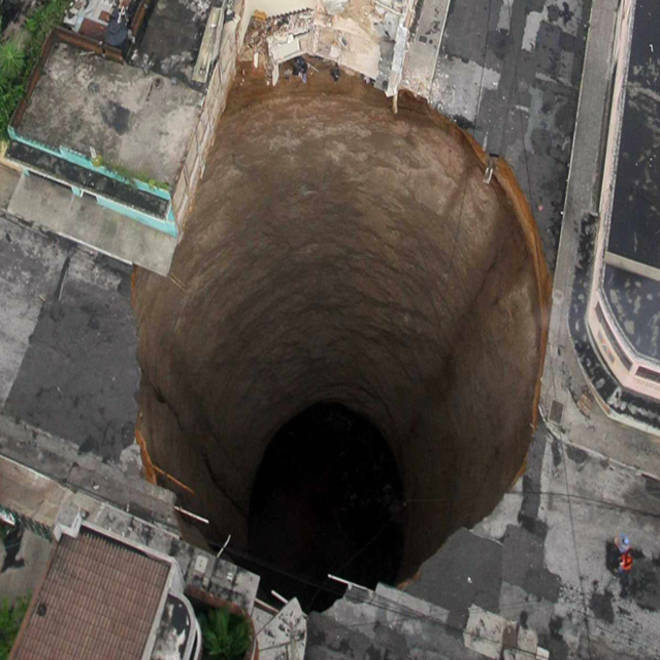 A sinkhole in Chicago at 96th and Houston. 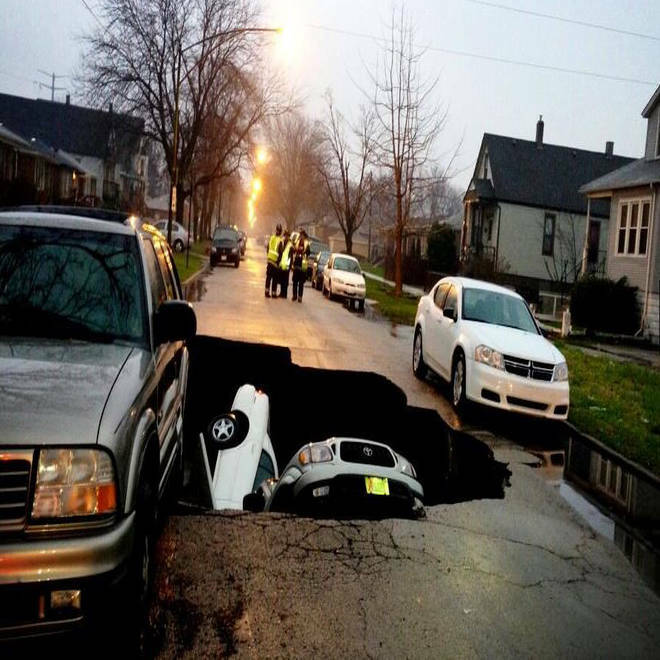 A driver was hospitalized Thursday after a large sinkhole opened up in the middle of the street and swallowed three cars on Chicago's South Side, police said. One man was hospitalized as the road collapsed beneath him. Heavy rainfall forced road closures around Chicago. The injured man was driving when the road buckled and caved in at 9600 South Houston Avenue near the Chicago Skyway, Chicago Police Department spokesman Mike Sullivan told NBCChicago.com. He was taken to Northwestern Memorial Hospital with non-life-threatening injuries, Sullivan said. Two cars were inside the hole when fire crews arrived. A third car, which was parked, slid into the hole after first responders got to the scene, NBCChicago.com reported. The sinkhole is the result of a water main that broke in the area and is gushing water, Tom LaPorte, a spokesman for the Water Department, told the Chicago Tribune. LaPorte said intense rain could have aggravated the cast iron water main that dates back to 1915.